You may have seen the story that came out a few days ago about how a man who stole the identity of Todd Davis, CEO of the LifeLock company and used the information to get a $500 loan. The man, who has never been identified, had obtained Davis’ name and Social Security number . . . which is probably not surprising since Davis apparently posts his SSN on the LifeLock website. Davis seems to have hired a private investigator to track down the identity thief, which the investigator did. After keying in on a suspect, the investigator apparently told police who the suspect was and that he was in Forth Worth, Texas. While the police were waiting for subpoenaed records from AT&T to confirm that the IP address used in the theft was linked to the person the private investigator had identified, the investigator went ahead and interrogated the suspect in Forth Worth. Indeed, the investigator not only interrogated the suspect and got him to confess to using Davis’ name and SSN to obtain the loan, he had a film crew tape the whole thing. . . even though police seem to have suggested this was not a good idea. You probably think that ended the matter, because a videotaped confession is pretty devastating evidence in any case, even a $500 falsified loan case. Actually, it did not. The suspect was not, and will not be prosecuted for what he did because the police concluded he was coerced into confessing. `They went to his house with a camera crew and they yelled at him and browbeat him into signing a confession that they had already typed out,’ Moore said. The man told police he was informed that if he did not sign the confession and agree to do community service, police would be coming to arrest him. `That makes them judge, jury and executioner,’ Moore said. After discussing the confession with the Tarrant County prosecutor, police closed the case and have no plans to arrest or otherwise pursue the suspect. They do seem to have worked out a voluntary arrangement by which he will provide community service, which seems to have been the penalty he would have gotten had he been prosecuted and convicted. Personally, I have no problems with how the Fort Worth police and prosecutor’s office handled the case. It seems a fair outcome, both in terms of saving everyone’s time (if the penalty wound up being the same) and in terms, perhaps, of factoring in the man’s mental disability. What I don’t understand, though, is why they decided they couldn’t use the confession. And let me explain why, briefly. There are two standards that govern the admissibility of a confession as a matter of constitutional law. We all know the first one – the Miranda rights. There’s no indication the private investigator gave the suspect Miranda rights, but he didn’t have to. Miranda rights only come into existence (or “vest” in a specific person) when someone is taken into custody (formal arrest or other kind of detention) by police. Miranda protects you from the police, not from your employer, not from private investigators, not from your neighbors, etc. The Supreme Court has on many occasions made it very clear that the Miranda rights are intended to address a very specific “evil:” custodial interrogation by police officers (and you must know they are police officers – doesn’t apply if you do not because, say, they are undercover). So Miranda does not apply. But you usually don’t refer to a failure to give Miranda warnings when they’re required as resulting in a “coerced” confession. Instead, you say there was a “Miranda violation.” That leads me to believe the Fort Worth authorities had the other standard in mind. Back in 1936, the Supreme Court decided a case called Brown v. Mississippi, in which several defendants challenged their conviction for murder. The conviction was based on their confessions. They confessed because they were whipped and told they would be whipped until they confessed to the murder. 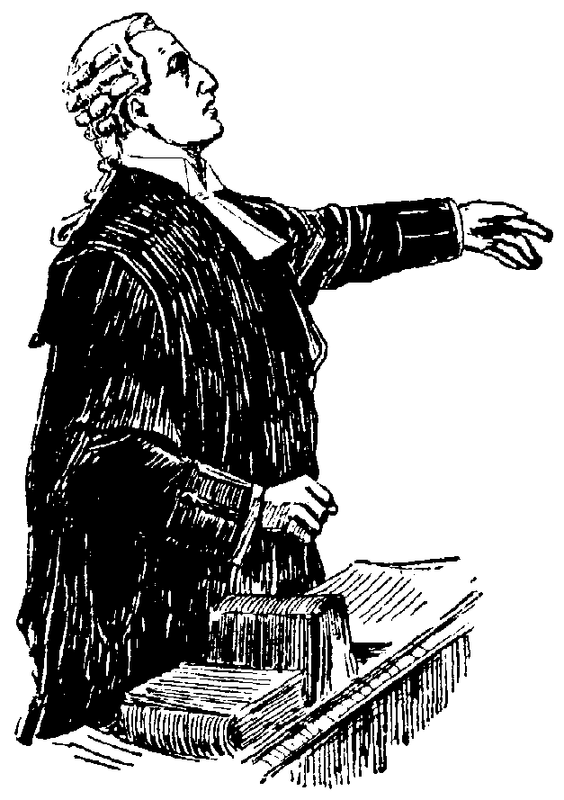 At trial, the officers who whipped the men admitted it, but the court let the confessions in and they were convicted. The Supreme Court said, in essence, “you can’t do that because it is inconsistent with our constitutional principles of justice and fair play.” The umbrella term for those principles is due process – the government can prosecute and convict you, but to do so it has to follow certain procedures (certain “process”) that adequately guarantee your rights to a fair trial. So the Brown Court said any use of torture to extract a confession violated due process and the confession cannot be used in court. Over the last roughly 70 years, courts have expended the Brown standard so that it now encompasses egregious psychological coercion as well as physical torture. Police can lie to suspects and trick them, but they cannot go too in doing either or in, essentially, browbeating a suspect. They can’t threaten a suspect with torture or with capital punishment only to get a confession, nor can they promise to let him go if he’ll just tell them what happened (having no intention of letting him go). So I don’t see why the private investigator’s coercing the suspect would make the confession inadmissible. The Connelly Court said that when a private party gets a confession, it can be admitted at court but the defendant can challenge it as not having been voluntarily given and not being reliable (because it was coerced). This may not seem like a cybercrime issue, but I think it is. One thing we’re seeing with cybercrime is the increased involvement of private citizens in the investigative process (think “To Catch a Predator”). This also comes up when a business has been the victim of a cybercrime they think has been committed by an insider and they launch their own investigation . . . complete with interrogating employees. I’ve wondered for some time if we need, perhaps, to re-think certain of the limitations the Supreme Court has put on the interrogation standards so that it would be difficult for, say, a private employer to coerce a confession from an employee, give the confession to the police and let them take it from there. 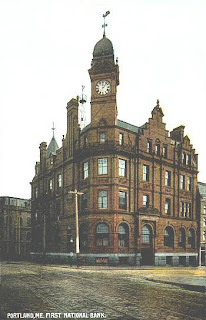 As I said, in that instance the employee’s only option might be to argue, at trial, that the confession was unreliable. And maybe that’s okay . . . ? How long can the government keep seized computers"
I got a really good question not too long ago (it’s taken me too long to respond, I’m afraid): How long can the government keep the computers it seizes in a criminal investigation? It’s a very good question because, as I thought about it and did a little research, the answer seems to be a variation of “it depends” and “beats me.” There are some state statutes, which I’ll talk about in a minute, that deal with the retention of seized evidence in general, but it seems the practice in this area varies . . . from state to state, maybe even from courthouse to courthouse. So I can’t promise you any definitive answers here (though I’d love to hear one if you have it?). All I’m going to do is to talk about the issue, the law I found, and the policy questions. Let’s start with a few basic principles. First, I’m going to assume we’re dealing only with evidence (property, tangible or intangible) that was lawfully seized in the execution of a search warrant. I’m also going to assume, as I explain below, that the evidence seized was used against you in a criminal proceeding; that is, I’m assuming you were charged with a crime and that your seized property was used against you at your trial on those charges. Evidence can also be lawfully seized if the owner consents to the seizure, but since the person who gives consent can withdraw it at essentially any time. I’m not sure consent seizures are at issue here. The other basic principle is the default procedure the law establishes for getting back property that has been lawfully seized with a search warrant. I’m sure we’re all familiar with the process of moving to suppress evidence; that tends to be the scenario in most reported cases, because the stakes are a lot higher if and when you’re charged with a crime and they want to use your property against you. Here, the person filing the motion is not seeking the return of the seized property (though that could follow if the motion to suppress is granted); they’re trying to block its being used against them in a criminal case. As I explained in an earlier post (“Seeking the return of seized computers”), the way you go about trying to get your seized property back if (i) you have not and clearly are not going to be charged with a crime or (ii) you have been charged with a crime, the evidence was used at trial, and you’ve been convicted, acquitted or got the charges dismissed somehow. The point is that we’re concerned only with (ii) because in (i) the government has absolutely no justification for hanging on to your property. Basically, as I explained in that earlier post, you file what in the federal system is called a “Rule 41(g) motion,” because you file the motion under Rule 41(g) of the Federal Rules of Criminal Procedure. Rule 41(g) says that a “person aggrieved . . . by the deprivation of property [seized by the government] may move for the property’s return.” If the court grants the motion, it returns the property; if it does not grant the motion, you don’t get your property back. Nothing in the law is simple, but basically the rule is that a court should not grant a Rule 41(g)-style motion for the return of seized property as long as there is a criminal case “pending” against the owner, a case with regard to which the property is relevant as evidence. “Pending” seems to be construed broadly. In United States v. Marabini, 2006 WL 3921906 (U.S. District Court – Southern District of Florida), Marabini moved for the return of two computers that were apparently seized pursuant to a search warrant. He asked that these “personal assets” be returned and given to his fiancé, because he had already (i) pled guilty to all the charges against him, (ii) been sentenced and (iii) agreed to forfeit $150,000 to the U.S. (basically as a way to disgorge money he’d allegedly earned from the crimes with which he was charged, i.e., unlawfully dealing in steroids and human growth hormone). The government opposed the motion “arguing, among other things, that the computers . . . were properly seized as `evidence of a crime’ and, therefore, should not be returned until it is no longer needed as evidence.” Marabini, supra. The government said the proceedings in the case had not ended because Marabini had not (i) appealed his conviction and/or (ii) filed a petition for habeas relief. Marabini, supra. (In an appeal, a defendant directly challenges what occurred below; in a habeas petition, the defendant raises what’s called a collateral attack, which differs procedurally, but both try to knock out the conviction). So, you’re not likely to win on a motion for return of property if there is any prospect that something can still occur in, or in relation to, the criminal case as to which it constitutes evidence. But I’m not sure that’s really the issue the person I mentioned earlier raised. I think the question there was, essentially, can they keep seized computers FOREVER? So now let me take a shot at that. The length of time the government can kept property it’s seized as evidence doesn’t seem to have been much of a concern, until recently. 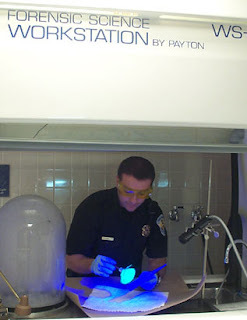 The big issue in that area now concerns DNA evidence, and there are statutes and other efforts to ensure that courts retain biological samples collected as evidence in a criminal case . . . essentially forever because, as we have seen, they can result in the release of innocently-convicted people. But computers are different. If the government takes a sample of your DNA, you don’t lose your DNA; you still have it, so there’s really not a good “property” kind of argument here. You could say the same thing about seized data, but that’s a different issue, as I’ll note at the end of this post. I’ve also read that in some states it’s pretty much up the court clerk’s office. I get the sense that in those states they hang onto things and then, when they run out of space, they get rid of some of them. As you can maybe see from this very brief outline of state law in this area, no one seems to have given much thought to the retention of evidence, historically. It seems to have treated pretty pragmatically: someone asks for it back, maybe we’ll return it, maybe not; we’ll keep it till we don’t have space, then get rid of it. I can’t seem to find any federal statutes on point, so I’m assuming federal courts handle this via local rules and practices. There’s a related, slightly different issue that comes up with the seizure (copying) of computer data, but this is already a long post, so I’ll address that issue next time. As you may have seen, the German Parliament made certain revisions to the German criminal code, one of which added a new section 212c StGB. I assume, though I have not seen this in the few stories I’ve seen about the new German law, that the German Parliament passed it as part of the country’s effort eventually to ratify the Council of Europe’s Convention on Cybercrime. Germany signed the treaty back in 2001, but like many countries that have signed it, they have not yet ratified the Convention. Shall not be interpreted as imposing criminal liability where the production, sale, procurement for use, import, distribution or otherwise making available or possession referred to in paragraph 1 of this article is not for the purpose of committing an offence established in accordance with Articles 2 through 5 of this Convention, such as for the authorised testing or protection of a computer system. Articles 2-5 of the Convention define unauthorized access to computer systems and related offenses. I don’t know if the new German law includes a provision that restates the exclusion given in Article 6(2) or not. Colorado Revised Statutes Annotated section 18-4-205(1). Possessing burglar’s tools is a Class 5 felony in Colorado, which is apparently punishable by imprisonment for 1-2 years followed by one year of parole. Colorado Revised Statutes Annotated section 18-1.3-401(1)(a). I suspect the sentence is pretty much the same in all the states that have this crime. As I think I’ve mentioned before, the reason for having this crime is to let law enforcement officers step in and interrupt a crime before (presumably) it’s about to be committed. So if they stop someone in a car or someone sneaking down an alley and find they’re carrying burglar’s tools as defined above, the officer can arrest that person for possessing the burglar’s tools. This does two things: First, it means the officer doesn’t have to hang around and wait until the person actually breaks into a house or business in order to be able to make an arrest; law long ago decided that’s not a good way to go, since it radically increases the danger to those who may be inside the burgled building, as well as maybe the officer, too. Now, even without a possession of burglar’s tools offense, an officer could arrest the person sneaking around with what are clearly tools intended to be used to burgle for the distinct crime of attempted burglary. Attempt crimes were invented, at least in the Anglo-American legal system, purely to let officers interrupt criminal activity before the criminal had gone all the way and was actually involved in the commission of what laws calls the substantive crime. Burglary (like murder, homicide, any crime with a completed “harm) is a substantive offense, while attempt is an incomplete, or inchoate crime. So where does this leave us with the new German law? Well, I assume the immediate driver was the country’s desire to be able to ratify the Convention on Cybercrime. And I assume the reason for including this provision in the Convention was a version of the burglar’s tools rationale. This provision establishes as a separate and independent criminal offence the intentional commission of specific illegal acts regarding certain devices or access data to be misused for the purpose of committing the above-described offences against the confidentiality, the integrity and availability of computer systems or data. As the commission of these offences often requires the possession of means of access ("hacker tools") or other tools, there is a strong incentive to acquire them for criminal purposes which may then lead to the creation of a kind of black market in their production and distribution. To combat such dangers more effectively, the criminal law should prohibit specific potentially dangerous acts at the source, preceding the commission of offences under Articles 2 – 5. Explanatory Report, Convention on Cybercrime, paragraph 71. I find the uproar in Germany particularly interesting given that I’ve never noticed anything similar here . . . and we not only signed the Convention on Cybercrime in 2001, we ratified it last year. To ratify it, of course, we, too, have to have law implementing the provisions of Article 6(1). You can find those provisions in sections 1029 and 1030 of title 18 of the U.S. Code – the federal criminal code, in other words. I’ve talked a lot about Fourth Amendment constraints on law enforcement officers’ ability to search for and seize computer equipment and data. That’s one of the two models of criminal investigation we have in the United States. Today, I want to talk about the other model and how it operates with regard to the government’s obtaining computer equipment and data stored on that equipment. The “other” model is the grand jury model. The United States is the only country that uses grand juries. The Fifth Amendment to the U.S. Constitution requires that charges for all serious crimes (felonies, essentially) be brought by indictment, and only a grand jury can bring an indictment. An indictment is a set of charges “returned” by a grand jury. A grand jury is a group of people, who are summoned just like regular trial jurors and sit to determine not guilt or innocence of charges that have been brought, but to decide if there is probable cause to charge someone with a crime, a federal crime, so far. So, the federal system has to use grand juries to charge people; that’s one grand jury function. Part of deciding whether there is probable cause to charge someone with a crime is investigating the possibility that a crime occurred, and that brings me to the second grand jury function. Grand juries, especially at the federal level actively investigate crime by requiring witnesses to appear and testify, under oath (think Scooter Libby), and by requiring individuals and/or corporations to produce evidence, such as records, for the grand jurors to review. The way a grand jury requires witnesses to show up and testify and individuals or corporations to produce evidence is by issuing a subpoena. 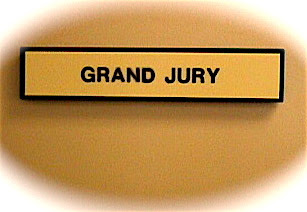 Subpoenas (grand jury and otherwise) are of two basic types: A subpoena ad testificandum requires someone to show up and testify; in grand jury practice, it requires someone to appear before the grand jury issuing the subpoena and ask questions put to them by the prosecutor working with the grand jury and by the grand jurors, if they wish to ask the witness questions. A subpoena duces tecum is used to obtain evidence; it requires the person or entity to which it is issued to produce specified evidence to the grand jury on or before a certain date. Failure to comply with either type of subpoena means that the person or entity that was subpoenaed will be held in contempt. For individuals, this means they will be locked up until they choose to comply. A few years ago, Susan McDougal served 18 months in jail for refusing to testify before the White Water grand jury, and I’m sure we all remember Judith Miller, who spent 85 days in jail before deciding to testify before the Plamegate grand jury. Since corporations and other artificial entities (partnerships) cannot be locked up, they will be required to pay heavy fines (thousands of dollars a day) for each day they refuse to comply with a grand jury subpoena. Okay, just a little more background and I’ll get to grand jury subpoenas for computers. If a subpoena recipient does not want to comply with a subpoena, the proper thing to do is to challenge it by filing a motion to quash (not squash, when I was in practice in Chicago I had a client who wanted me to “squash that grand jury subpoena”) with the court that supervises the grand jury. The motion to quash says, essentially, that the subpoena should not be enforced for particular reasons. An attorney might argue, say, that the subpoena would require her to violate attorney-client privilege by testifying or by producing records. Another basis for challenging a subpoena that requires the production of evidence is to argue that it is overbroad, i.e., asks for too much . . and that brings us to computer subpoenas. Since the whole issue of subpoenas tends to be very complex, I’m going to focus on only one issue in this post, and try to use a couple of cases to illustrate how that issue comes up and why it can be important. The first case is a state case. States use grand juries, too, in the same ways the federal system does. Most states have county grand juries to investigate and bring charges for local crimes; some states have also statewide grand juries, which investigate larger-scale criminal activity. The first case – In re Twenty-Fourth Statewide Investigating Grand Jury, 589 Pa. 89, 907 A.2d 505 (Pennsylvania Supreme Court 2006) – involves a newspaper’s challenge to a statewide grand jury subpoena. 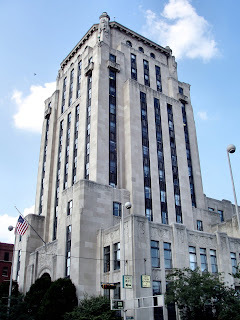 In February and July 2006, Lancaster Newspapers, Inc. was served with two subpoenas issued under the authority of the Twenty-Fourth Statewide Investigating Grand Jury, commanding it to produce four computer workstations (Subpoena 314) and two additional computer hard drives (Subpoena 686). . . .The newspaper maintains that . . . , it agreed to provide the Attorney General's office with all available documentation deriving from the hard drives related to the subject of the investigation and to make the computer hardware available for inspection at Lancaster Newspapers' office in the presence of newspaper personnel. Upon rejection of such conditions by the Office of Attorney General, the newspaper initiated proceedings before the judge supervising the grand jury proceedings, seeking to quash Subpoena 314. The newspaper contended, inter alia, that the subpoena was overbroad because it required production of information that was not relevant to the grand jury investigation. . . . In re Twenty-Fourth Statewide Investigating Grand Jury, supra. The judge supervising the grand jury denied the motion to quash, and the newspaper appealed. overbroad, in that it obviously requires production and potential disclosure of information beyond that which is relevant to the grand jury inquiry. The newspaper discusses a “chilling effect” that the surrender of entire computer hard drives to the government by the media will have on its ability to utilize confidential sources and to gather news information. According to the newspaper, less intrusive means were available to be utilized by the government and/or grand jury to accomplish their investigative purposes. In re Twenty-Fourth Statewide Investigating Grand Jury, supra. This is a good argument because the U.S. Supreme Court and state courts have read a “reasonableness” requirement into subpoenas requiring the production of evidence. The reasonableness requirement means, for example, that the government can’t just issue a subpoena asking for “everything” a business has and expect to prevail, at least not unless it can show why it really, truly needs “everything” the business has. The reasonableness requirement is intended to protect subpoena recipients by ensuring that they do not have to expend impossible and/or unreasonably expensive efforts to comply with subpoenas. It tries to strike a balance between what the government really needs and what is fair to the person or entity that has to locate and produce all this evidence. It also, as you can see from the argument above, tries to ensure that subpoenas are no more intrusive than they have to be. The novel issue that’s come up in the few reported computer subpoena cases is whether the government (i) can simply require a person or a business to produce their computer equipment (hard drives, computers, data storage devices) or (ii) must instead focus the subpoena’s demands on producing particular information that is relevant to the grand jury’s inquiry. In an early computer evidence case – In re Grand Jury Subpoena Duces Tecum, 846 F. Supp. 11 (Southern District of New York 1994) – a federal court bought the subpoena recipient’s argument that requiring someone to produce hard drives and other computer hardware, simply to give the government access to some of the data stored in those devices, was unreasonable because it was analogous to requiring a business to produce all its file cabinets, with all the documents contained in them, so the government could gain access to the subset of documents that were actually relevant to the grand jury’s investigation. The New York court granted the subpoena recipient’s motion to quash and told the grand jury to try again, this time with a subpoena that only required the production of information relevant to its investigation. And that’s essentially what the Pennsylvania Supreme Court did. It found that the subpoena at issue in that case was in fact overbroad and vacated the lower court’s order enforcing it, without prejudice . . . which means the state Attorney General’s office could try again with another subpoena. The court noted that one way to resolve the problem would be for the lower court to appoint a neutral expert who would review the data on the hard drives and decide what should, and what should not, be produced to the Attorney General. It also noted there might be valid reasons why the Attorney General’s office would need the hard drives – one being to have them forensically examined. The Pennsylvania court explained, however, that “any direct and compelled transfer to the executive branch of general-use media computer hardware should be pursuant to a due and proper warrant, issued upon probable cause.” In re Twenty-Fourth Statewide Investigating Grand Jury, supra. Requiring the government to obtain a search warrant further protects the subpoena recipient (the newspaper, here) because it means the government has to show specific reasons why it needs particular evidence being held by the subpoena recipient. That raises the bar for the government and, in so doing, protects citizens, because subpoenas issue with no showing of probable cause or any other reason to believe relevant evidence will be produced. Earlier, I talked about the two U.S. models of criminal investigation; each has its own way of trying to protect individual rights of privacy and possession of property: The traditional law enforcement model does that by requiring police to obtain a search warrant based on probable cause or otherwise satisfy the requirements of the Fourth Amendment before they go out and get evidence. The grand jury model does that by allowing the recipient of a subpoena to go to court and move to quash the subpoena. Here, the Pennsylvania Supreme Court was playing Solomon, to some extent by holding that some evidence just may not be obtainable by grand jury subpoena; if and when that is the case, the Fourth Amendment gives the government another way to go about trying to obtain that evidence. Maybe you saw this? New Zealand banks have adopted a new Code of Practice which, among other things, makes customers using online banking responsible for losses that occur if they did not take appropriate precautions to secure the computer they used to do their banking. The New Zealand Bankers’ Association’s Code of Banking Practice [“CBP”] (4th ed. 2007) begins by advising online banking customers that “[y]our computer . . . is not part of our system therefore we cannot control and are not responsible for, its security.” CBP page 33. It follows this disavowal of institutional responsibility with reassurances that “we will inform you . . . how best to safeguard your online information and the steps you should take to protect yourself and your own computer from fraud, scams or unauthorized banking transactions.” CBP page 33. As to the latter, the CBP says the financial institution will have available online “information and advice” on the benefits of installing and maintaining protection, in respect of, for example” anti-virus software, firewalls, anti-spyware and operating system security updates. CBP page 33. It also says the financial institution will tell you where to find this information “[w]hen we first give you access to our Internet Banking services.” CBP page 33. And the CBP goes on in that vein for another page or two, mostly telling customers what it will and will not do (such as sending emails asking for personal or account data). CBP page 33-34. The next page or so explains that customers will not be held liable for “Unauthorised Transactions” under various circumstances, such as that you promptly inform the bank that you password or other access information has been compromised. CBP page 36-37. Nothing unusual so far. You have a PIN or a password “of a type you have been warned not to choose (this goes back to earlier advice about not using family names, birthdates, pet names, etc.). You either voluntarily disclosed your PIN or password to someone else or you wrote it down or recorded it electronically. If any of the circumstances listed in this section of the CBP existed when your account was compromised, then your “maximum liability will be the lesser of” (i) the actual loss at the time you notified the bank of the problem or (ii) the amount that would have been available from withdrawal from your account “between the time any unauthorised access was made and the time you notified” your bank. CBP page 37. If you used or allowed your account to be used to access fraudulent or unauthorized transactions, then you “may be liable for some or all of the loss suffered by the party who has been defrauded, regardless of the balance available in your account.” CBP page 37. We reserve the right to request access to your computer . . . in order to verify that you have taken all reasonable steps to protect your computer . 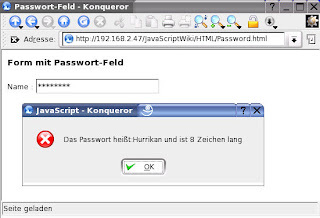 . . and safeguard your secure information in accordance with this Code. If you refuse our request for access then we may refuse your claim. I want to comment briefly on two aspects of the CBP. The first is the idea of imposing some responsibility on civilians – regular people – to secure their computers and be cautious when online. I have written about why I think this is a good idea elsewhere, and so won’t belabor the point here. In the articles I have written on this topic, I explain in detail that the traditional system of crime control – law enforcement’s reacting to completed crimes by apprehending the criminals, who are then convicted and punished – neither is nor will be an adequate strategy for keeping online crime under control. As I explain elsewhere, the traditional model, which works adequately for real-world crime, is based on the premise that if you find and conviction someone who committed a crime, you control the commission of future crimes by (i) taking that offender out of circulation for some period of time (or permanently, if the death penalty applies) and/or (ii) discouraging others from following her example, because they see that the costs of committing crimes outweighs the benefits. Implicit in this strategy, however, are the premises that (i) you can find the perpetrators of enough crime to have the desired effect and (ii) having found them, you can get custody of them for prosecution, conviction and sentencing. As I demonstrate in detail elsewhere, criminals’ ability to use cyberspace frustrates law enforcement’s ability to apprehend cybercriminals because it becomes difficult, if not impossible, to identify them. And even if law enforcement can identify certain perpetrators, it may not be possible to extradite them for prosecution where the crimes (or some of them) were committed. These difficulties are further exacerbated by the tremendous resource costs entailed by online investigations, costs that must be added to the costs needed to pursue real-world criminals because, after all, people will continue to “harm” each other in various ways in the real, physical world. Okay, so I think we – the “users” of cyberspace – need to learn that we must assume some level of responsibility for protecting ourselves while online. And elsewhere, I’ve outlined some ideas as to how we go about changing societal norms (which currently tend to assume that crime is the police’s problem and that they will always catch the criminals) to make this one of the endemic, implicit assumptions we all share. So I really don’t have any problem with that aspect of the CBP. My problem lies with the other aspect of the CBP provisions on “user” responsibilities. The articles I’ve seen about the CBP all focus on what they see as an invasion of privacy that results from the bank’s reserving the right to check the security on your system, apparently after an unauthorized transaction has taken place and you are seeking reimbursement for the losses. The invasion of privacy concern doesn’t bother me all that much. It seems to me to fall in what the law calls “assumption of risk.” I get what I contract for, in other words. We see this in air travel. I may find airport screening of me and my bags very intrusive, a real invasion of privacy, but the law’s response to is, simply, that I have a choice. I can submit to those procedures, I can travel by other means or I can choose not to travel. I’m sure some will point out that if all banking institutions starting using codes of this type (as is apparently now true in New Zealand), I won’t have a choice. I wonder. I tend to suspect that a market would grow up for financial institutions that would give their customers alternatives, in the same way bank secrecy became a marketable item in Switzerland and, later, in other countries. But I don’t want to talk about what doesn’t interest me that much about the CBP. What I find interesting, and flawed, about it is that they seem to be relying on bank inspection of people’s computers as the incentive for customers’ beefing up security on their computers. As I’ve written in elsewhere, I don’t think this kind of enforcement system is the way to go to achieve the result I noted above, i.e., to change our culture so that we all begin to assume a level of responsibility for protecting ourselves online. I don’t think it’s the way to go for several reasons. One is that customers may conclude (as the authors of articles about the CBP already seem to have concluded) that the tactic is high-handed and overreaching. As we all know, when people (me, included) perceive they’re being treated like that, their response is either to abandon ship (head for another bank) or be passive-aggressive, comply at some minimal level and then argue about it if and when a problem occurs. The other problem I have with this tactic is the one I’ve written about before in analyzing somewhat comparable schemes (online driver’s license, security checks generally) that would seek to achieve the same thing. Some have argued that we should approach online security the way U.S. states dealt with seatbelts: Seatbelts have apparently been available in cars since the 1960s, but no one really started to use them till roughly twenty years later, when states started adopting “click it or ticket” laws, i.e., laws that made it a very minor offense (like a speeding violation) not to wear a seatbelt. That approach worked for seatbelts, but I don’t think it could ever work for citizen computer security. Seatbelt laws are easy to enforce because it’s easy for a police officer to tell if you’re wearing on. And seatbelts are easy to use; citizens don’t have to keep adding patches to their seatbelts or upgrade to better seatbelts or any of that. Why is that important? It goes to the efficacy of enforcement. If people don’t understand WHY they’re supposed to do something, something that isn’t easy for most people today, then they’ll be resistant. Resistance requires pouring more resources into enforcement (think alcohol prohibition in the 1920s and the war on drugs more recently), which, in and of itself, is not ever likely to be effective in getting people to do that “something” you want them to do. So, I applaud the New Zealand bankers for trying to do something to encourage people to secure their computers and themselves when online. I just don’t think they’ve chosen a very good approach to the task.